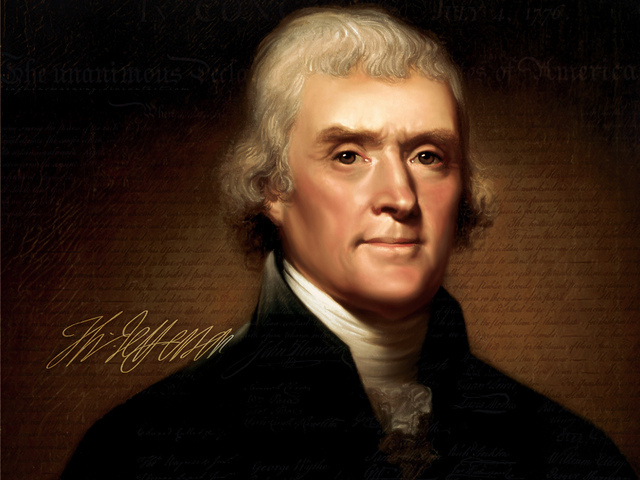 President Jefferson was publicly accused of fathering the children of his slave Sally Hemings, by journalist James Callender (who had also publicized Alexander Hamilton’s affair) in the Jefferson–Hemings controversy. Hemings was the half-sister of Jefferson’s wife Martha, and based partly upon DNA evidence, there is now a scholarly consensus that Thomas Jefferson and Sally Hemings did have several children together. Since the DNA tests were made public, it is widely held that most biographers and historians have concluded that Jefferson had a long-term relationship with Hemings whom he kept as his concubine. Hemings’ first child was conceived while she and Jefferson were in France, while he was there as the US Ambassador. Since slavery had been abolished in France, Hemings only agreed to come home with Jefferson on the condition that their children would be freed at the age of 21 years; Jefferson kept this promise.